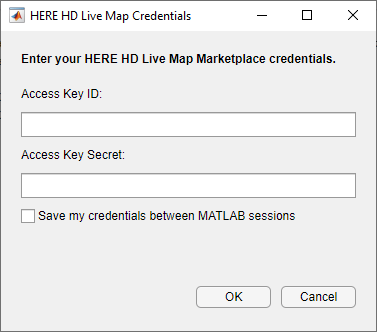 HERE HD Live Map (HERE HDLM), developed by HERE Technologies, is a cloud-based web service that enables you to access highly accurate, continuously updated map data. 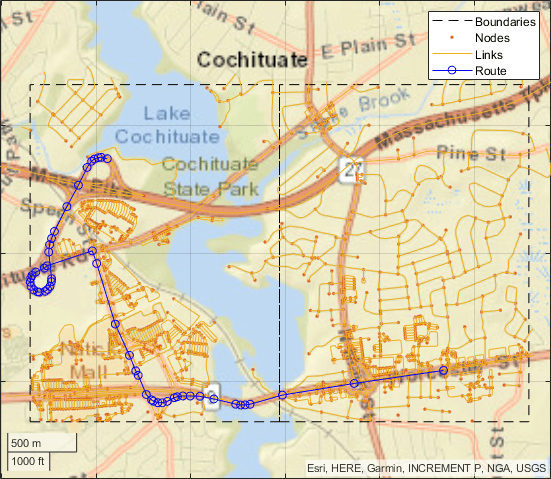 The data is composed of tiled map layers containing information such as the topology and geometry of roads and lanes, road-level attributes, and lane-level attributes. 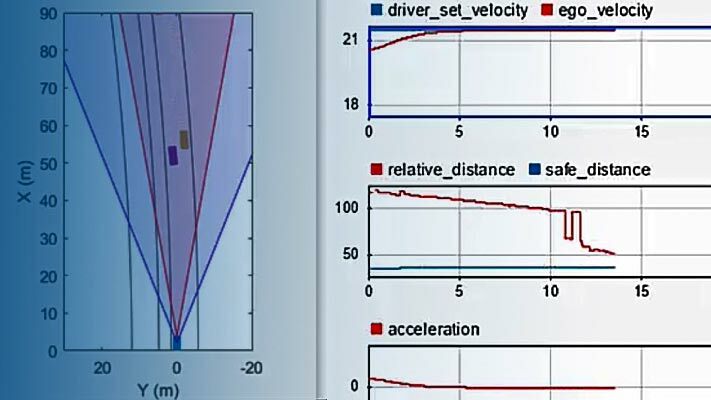 This data is suitable for a variety of ADAS applications, including localization, scenario generation, navigation, and path planning. Using Automated Driving Toolbox™ functions and objects, you can create a HERE HDLM reader, read map data from the HERE HDLM web service, and then visualize the data from certain layers. 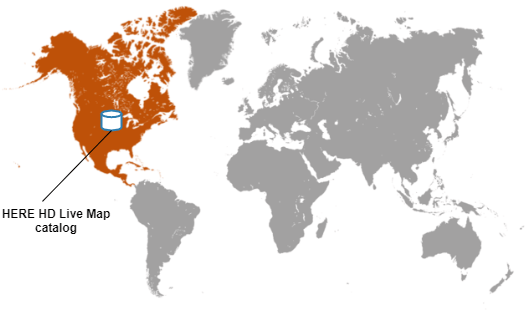 Before you can use the HERE HDLM web service, you must enter the credentials you obtained from your agreement with HERE Technologies. To set up your credentials, use the hereHDLMCredentials function. For more details, see Enter HERE HD Live Map Credentials. Optionally, to speed up performance, create a hereHDLMConfiguration object that configures the reader to search for map data in only a specific catalog. These catalogs correspond to various geographic regions. For example, create a configuration for the North America region. For more details, see Create Configuration for HERE HD Live Map Reader. Create a hereHDLMReader object and optionally specify the configuration. The reader enables you to read HERE HDLM map data, which is stored is a series of layers, for selected map tiles. You can select map tiles by map tile ID or by specifying the coordinates of a driving route. For example, create a reader that reads tiled map layer data for a driving route in North America. For more details, see Create HERE HD Live Map Reader. Use the read function to read data for the selected map tiles. The map data is returned as a series of layer objects. To plot map data for a selected layer, use the plot function. For example, read and plot the topology geometry layer for the selected map tiles, and overlay the driving route on the plot. For more details, see Read and Visualize Data Using HERE HD Live Map Reader. You need to enter into a separate agreement with HERE in order to gain access to the HDLM services and to get the required credentials (app_id and app_code) for using the HERE Service.